The Paris Block was origionally constructed in 1907 and was brought back to life by The Salient Group at the end of 2009. This boutique heritage conversion is the latest in the Gastown revitalization moving East along Hastings Street. 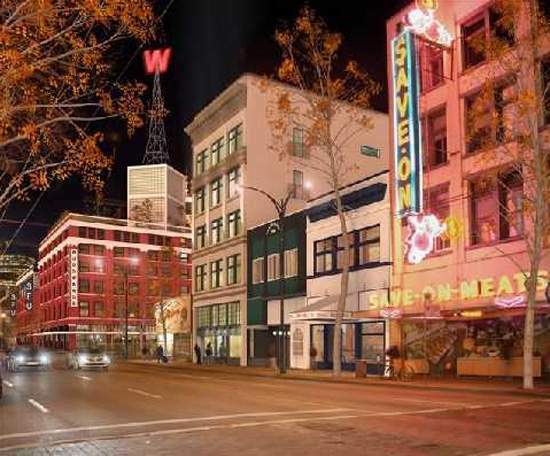 The Salient Group is a key player in the changing face of Gastown Vancouver. This development firm is a very reputable one who specialize in the Revitalization of Heritage Buildings & converting them to modern boutique residences around Downtown Vancouver. A mixed retail and commercial building, The Paris Block was originally known as the Eastern Building, and attracted prominent tenants from the beginning. Not long after its construction, the upper floors became the Strathcona Hotel while the ground floor was occupied by Pierre Paris & Sons in 1919. Remnants of the painted signage for both these businesses are still visible on the east and west exposures of the building.